Winter is almost here in Michigan, and we here at Mr. Muffler, we want to make sure your car is ready for the upcoming cold season. The temperatures are dropping and driving conditions are changing, make sure your car can handle the upcoming winter season. We highly recommend getting a thorough check of all critical systems on your vehicle. This will not only prepare you for the winter months ahead, but it will also give your car longevity through the harsh winter season. Have your tires checked over before the roads ice up? Some people like to use the change in season to rotate out their summer tires for sturdier winter tires. We here at Mr. Muffler will get you a new set of winter tires, or change out your current tires to your snow tires. We’ll also do essential things like checking the tire pressure, rotate tires and balance if necessary. Remember to check your tire pressure periodically, as it changes substantially with the temperature. All of these things will pay off in the cold winter months. 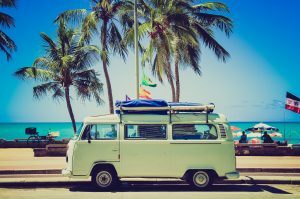 It’s a simple thing that we all have to do with our car, but keeping on top of your oil changes during the winter months is especially important. This will help car performance in the long run. For your convenience, Mr. Muffler in Westland has frequent specials on oil changes, so be sure to check them out. In the winter months the cold will affect the conductivity of your battery, so head this problem off at the pass. We can check your battery and help you replace it if necessary. Having good and dependable working brakes are essential to have, especially during the winter months. We will inspect your brakes and advise if you need brake system repair and/or replacement. From pads to rotors to calipers and brake lines. We use only quality Monroe Prosolution Brake Pads and Wagner Brake Pads so you’ll be set for the ice and snow. We want to make sure you’re treated like a part of the family at Mr. Muffler in Westland just a couple of miles from Canton down Cherry Hill road or up Wayne road to Livonia. We pride ourselves on friendly customer service and top-notch work on your car. Finally, call today for our current specials and a quote for your next tune-up! The winter is officially here in Michigan. This causes many things for us; fear of driving in the snow and on ice, concern about our vehicles safety and much more. Luckily Mr-Muffler in Westland is here to help with it all! 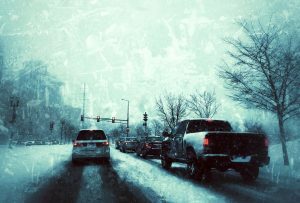 Check out our tips for driving in the winter weather and how we can help with your vehicles safety with winter tune-ups. Allow plenty of time to get to your destination. Check the weather regularly so you are not tempted to drive faster than you should, let your friends and family know your travel route and what time you plan to arrive. Know what kind of bakes you have and what they will do. Do you need your brakes checked or brake replacement? See Mr-Muffler for a test drive and brake check. If you have anti-lock brakes, stomp on them with firm pressure constantly. If you have non-anti-lock brakes, pump the brake pedal. Remember stopping distances are longer on ice. Keep a safe distance between cars and salt trucks. Drive at a speed that match the weather and road conditions even if its under the speed limit. If you lose traction of your vehicle, continue to steer in the direction you want to be heading. 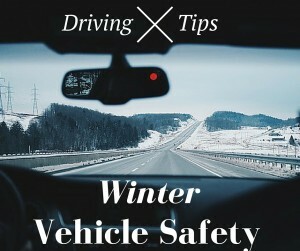 If you get stuck in the snow, straighten the wheel and accelerate gradually. Sand and cat litter can help under the drive wheels to stop the tires from slipping and spinning in the snow. Do not use cruise control in rain, snow or ice. Mr Muffler will always put vehicles and their driver’s safety first. That’s why we hope that these winter driving tips and information about your vehicles safety help. If you have any other questions about our auto repair services and safety please contact us. Check out our oil change, windshield wiper and other specials we offer monthly at our Westland Michigan Muffler and Brake Repair service station.